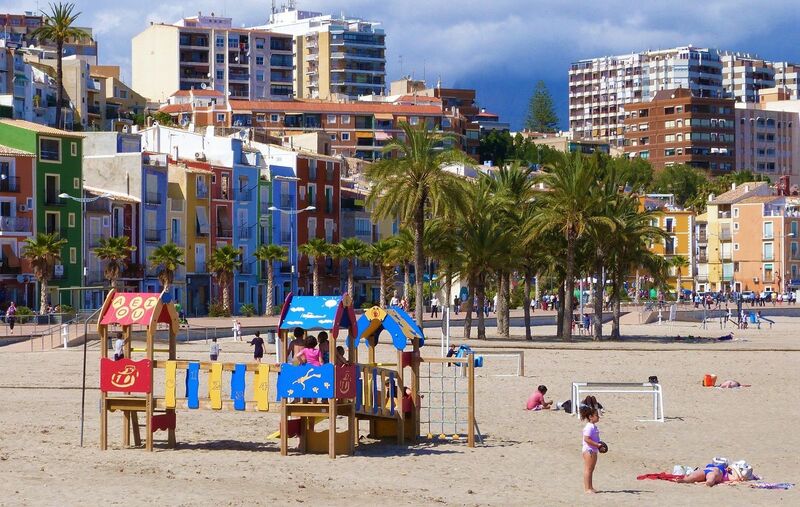 Less than an hour from Alicante airport with shared shuttle transfers or door-to-door taxi services to Villajoyosa. A unique Express Connect shuttle (maximum 4 stops) is offered by BENICONNECT. The shuttle is the easiest way to get to Villajoyosa. Strops at the Hotel Montiboli, Hotel Allon, Camping Paraiso or Aparthotel Bluesense. Alicante (ALC) airport is just 49 km from Villajoyosa with a journey time of about 35 minutes door-to-door with Alicante private transfer or 50 minutes by shuttle to the town center. Murcia (MJV) airport is 135 km from Villajoyoasa making the journey time about 1 hr 25 minutes by private taxi transfer. Villajoyosa is one of the prettiest and smallest seaside resorts on the Costa Blanca offering a uniquely local feel and unspoilt quiet sandy beach and promenade. A touch of real Spain! **destination is "La Villa Joiosa"